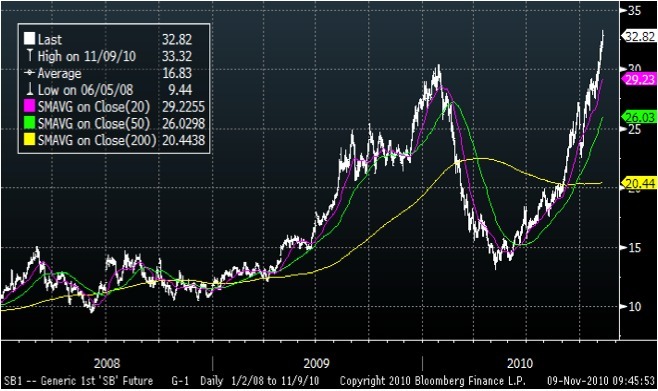 Tano Capital Commentary: November 2010 - Melt Up! So, what’s happening? The simple answer is a commodity melt-up, which is, in essence, a “dollar” melt down. The almighty buck is fast and predictably losing its luster as a store of value. 100 bucks nowadays just isn’t what it used to be. In fact, if you look back to the creation of the Federal Reserve Bank in 1914, one dollar created then is now worth 5 cents today, in terms of relative purchasing power. 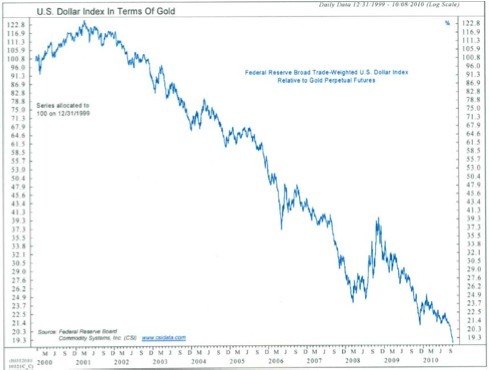 For many years, the US currency was pegged to real assets, such as gold, which restricted the ability of the Government to imprudently print more than the economy could justify. All that pretty much went out the window in 1914. There were attempts to keep the currency pegged to gold and silver for periods of time after that; however, the Vietnam war and its deficits in the 1960’s ended up severing our paper currency from everything but our printing presses in the early 1970’s. Since that time, the Government has been free to print as much paper as it wishes, and the only thing backing that paper is a promise to pay in more paper, which of course can be printed at will. That paper says “This note is legal tender for all debts, public and private” and “In God We Trust”. That’s all it says, and it’s only as good as people believe it will be. 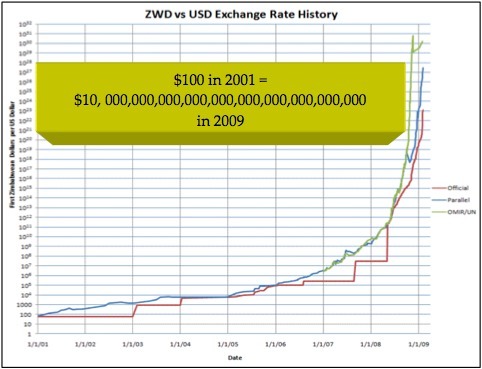 One must indeed wonder, just what is the point of a “Hundred Trillion Dollar” Banknote? It isn’t very funny to the people living through hyperinflation, however. The German hyperinflation was what enabled the Nazi political party to come to power in Germany. 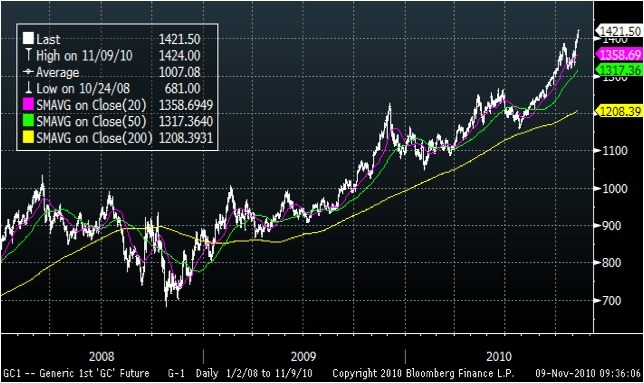 The slide below shows, in essence, the purchasing power of the US Dollar reflected in terms of Gold from 1999 to 2010. I would say that looks like a trend. 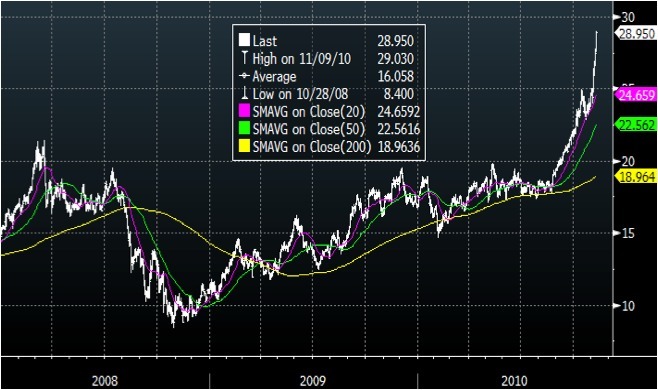 Of course, it’s not just the US Dollar that has been losing its sheen. 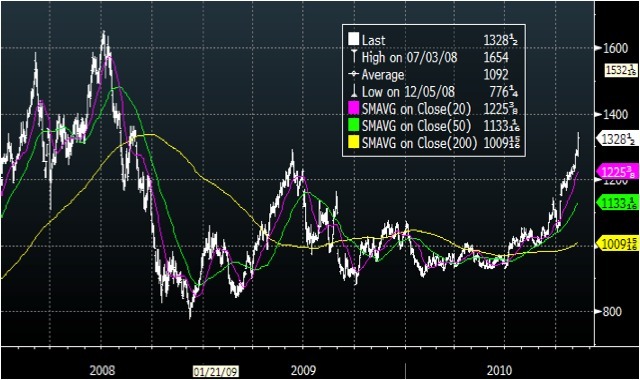 Every paper currency has lost ground in terms of gold over the last 12 years. 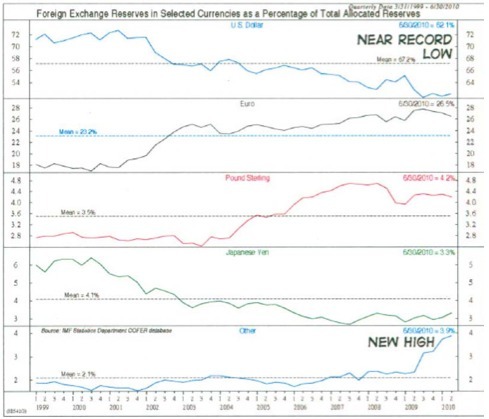 Almost all freely traded paper currencies have begun to devalue versus hard assets. 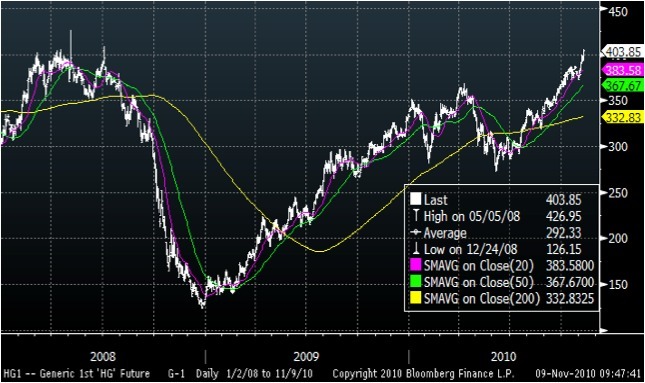 We believe that the “melt-up” in prices now occurring across all commodity markets has more to do with a “melt-down” in confidence in the future value of paper currency than it does with supply and demand considerations about individual commodities. Certainly, world population growth and rapid economic development in emerging economies will continue to underpin commodity prices and keep supplies tight and inventories low, but the primary problem being surfaced in the markets now is fundamentally related to paper versus “real” assets, and paper is bound to lose that contest in the longer term.